The Los Angeles International Airport now allows passengers to bring weed into the airport. Los Angeles Airport Police Department will allow passengers to travel through LAX with up to 28.5 grams of marijuana and 8 grams of concentrated marijuana. However, passengers should be aware that marijuana laws vary state by state and they are encouraged to check the laws of the states in which they plan to travel. 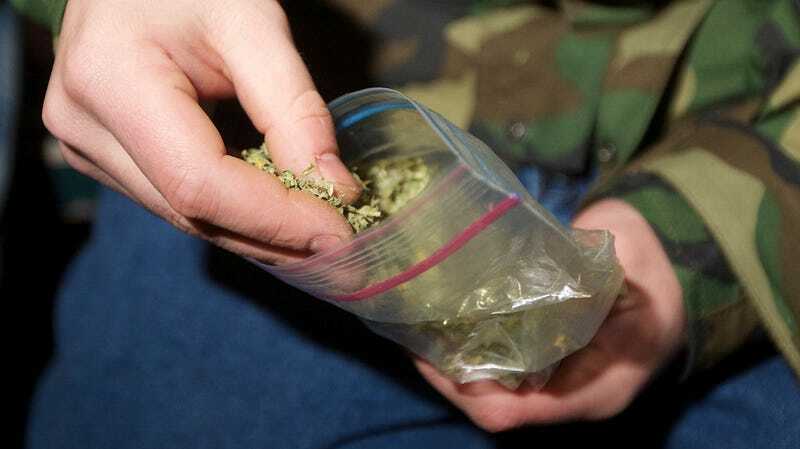 The rule is in accordance with Proposition 64, passed in 2016, which made it legal for people 21 and older to posses up to 28.5 grams of marijuana and 8 grams of concentrated marijuana, as long as it’s for personal use and not distribution. LAX and LAPD are clarifying with this policy that the regulation applies within the airport as well. “Based on our policy, we’re not going to arrest you or confiscate marijuana,” LAPD spokesperson Alicia Hernandez told McClatchy. Hernandez said the policy has actually been in place since January 2018, when Proposition 64 went into effect. The policy has also apparently been on the site for months, but only got public attention in the last few days, according to the Los Angeles Times. Hernandez said passengers carrying a legal amount of weed still have to deal with airline security, as marijuana is still illegal under federal law. “TSA can deny you coming through the checkpoint. The checkpoint is their jurisdiction,” she told McClatchy. A TSA spokesperson told McClatchy that TSA agents’ main focus is threat detection, and if they find marijuana on a passenger, then they may alert law enforcement. “We’re not going to be taking any action against you for having that marijuana,” Hernandez told McClatchy. Of course, weed-carrying passengers who are flying to a state where marijuana possession isn’t legal could still get caught breaking the law.